My neighbor lived with fibromyalgia and chronic fatigue syndrome for 34 years, but despite it, she still enjoyed the outside; planting flowers, feeding the birds, fishing, and going to the casino. However, the past three years she stopped. Her chair became her home. She stopped cooking “real meals.” She spent day and night in her chair. Little by little she lost her ability and her will to do the things she loved. Her body began to wither; she lost all muscle tone and strength. 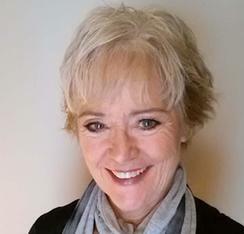 She succumbed to her pain and disabilities; she had lost her will to fight. She too experienced the cycle ~we all know so well ~ pain, no sleep, depression; more pain, less sleeping. This pain that I am experiencing today, she was experienced every day. I understand why she felt like giving up. I know that when I hit a flare, I don’t want to move or eat. I forget and let the anxiety of the fog and pain take over my mind and body. It takes sleep, food and physical movement to help me get through it. What do you suppose is on my friend’s death certificate? Despite her long history, do you think it reads complications due to fibromyalgia, CFS, or depression? Cause of death “myocardial infarction,” HEART ATTACK. Could her death have been prevented? Maybe not, but her final years could have been spent with hope, not despair. Depression is a side effect of living with chronic pain and illness, and in my friend’s case, the biggest obstacle, the least understood, fibromyalgia and chronic fatigue syndrome. We must raise awareness; we must not let one more person succumb because of ignorance that threatens to rob one of their self esteem including, family and friends, and even healthcare providers. Can we make it our New Year’s resolution to do that? Can we encourage one more person not to give up the fight? Yes we can, it’s called hope. You can follow Melissa's blog @ survivingwithfibro.wordpress.com on Facebook page at www.facebook.com/survivingfibro or @MelissaSwanso22 on Twitter. This is such a tragic story. At first I didn't want to read this blog post because of the title. I don't want to know if FM/CFS can cause death... but then I decided to read on. I agree - this poor woman died because she was simply too exhausted and in too much pain to go on. I'm only in year 6 of all this weirdness and I have many days when I just want to give up. Thankfully, I have a wonderful husband who has become my caregiver, but if I lived alone? I know I would be malnourished and far more sick than I am now. Do I believe that people can die from FM/CFS? Now I do. It's time the medical community stopped trivializing these diseases! It will only happen if we refuse to quietly give in. Alone we may not have the energy or ability to effect change. But together? We ABSOLUTELY can!! 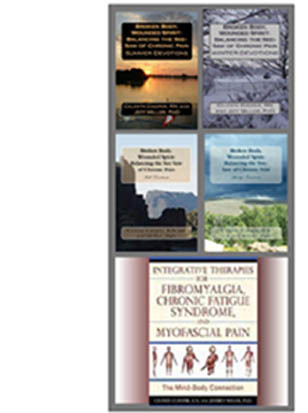 The books you have written on fibromyalgia are amazing. That will definitely helpful for ME patients. Fibromyalgia is something which is characterized by a widespread pain in several parts of the body. Nice explanation made by you. After reading your article patient can easily get rid of this disease. Thank you. While Melissa is my guest blogger and she did a wonderful job, this is my blog and I am the author of the books you see here. be. An annual gas safety inspection would save lives. killed by carbon monoxide leaking from faulty gas boilers and many hundreds more suffer ill health because of it.